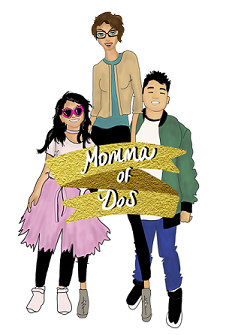 Momma of Dos: Happy Tuesday. I am making some changes and would LOVE some feedback! Secondly, after a trip to T-Mobile, a Soy Strawberries and Creme Frap from Starbucks, a trip to Best Buy and $40.00; I have a phone again! Not the latest or the greatest but it will do for now! Finally, I have so much going on in my head, my heart, and my "world" that today, I feel drained. Drained emotionally, physically, and just drained. I don't think this is bad, I actually think this is great, gives me MUCH room for improvement. Santiago turns 9 months tomorrow! 13 days later I turn 29 and almost 2 months later my husband turns 31! So hard to believe that it's been 11 years for us and that now we have such a beautiful and healthy baby boy whom we adore and are Blessed to have! I pray that you all have a Wonderful and Blessed Tuesday! As you can see....this week, is one of those weeks...I just really need some sleep, some "me" time, and a vacation.